BOWLING GREEN, KY - The West Michigan Whitecaps 2018 season ended Sunday night as part of a 3-1 loss to the Bowling Green Hot Rods, resulting in a two-game sweep as part of a best-of-three Midwest League Eastern Division Finals series. The Whitecaps, whose offense ranked 15th of 16 teams in the Midwest League this season, still managed to advance to the Midwest League Playoffs for the fifth consecutive season. The streak marks the longest running playoff streak among Eastern Division teams, and second longest in the Midwest League next to Cedar Rapids with six. The Hot Rods took control of the contest from the start, as Ronaldo Hernandez delivered a two-out, two-run single to help Bowling Green preserve a 2-0 lead in the first. One inning later, Carl Chester lined an RBI-single through a drawn-in infield to extend the advantage to 3-0. Meanwhile, the Whitecaps offense managed to bring the tying run to the plate just once in the first six frames. In the seventh, Chris Proctor gave the 'Caps their only run with an RBI-single. The 'Caps were unable to solve Bowling Green starter Paul Campbell throughout the contest, as he retired 13 out of the first 14 batters he faced. 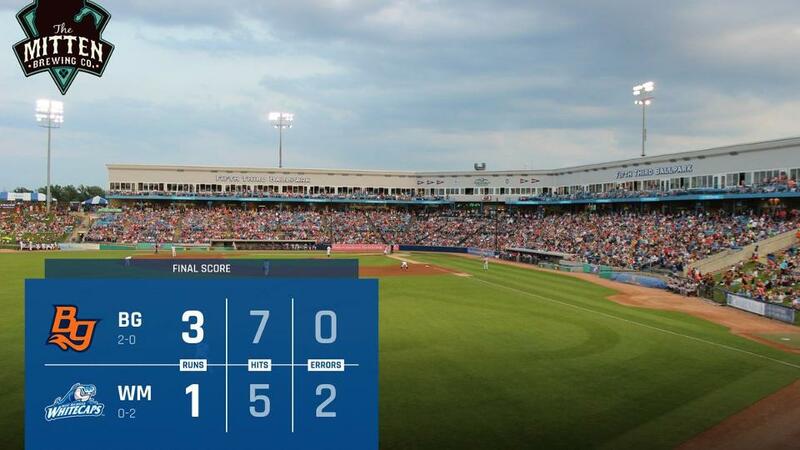 West Michigan came no closer as the final six batters were retired to end the ballgame, as well as the Whitecaps 2018 season. Campbell (1-0), who tossed seven innings of shutout baseball for the Hot Rods to earn his first playoff win, while Whitecaps starting pitcher Elvin Rodriguez (0-1) finished his season with a quality start. The right-hander gave up three runs on seven hits in six innings despite taking his first playoff loss. Rodriguez allowed the leadoff batter to reach base in each of the first four innings of the ballgame. Jhonleider Salinas tossed the final two innings of scoreless relief to pick up his first save of the postseason. Proctor led the 'Caps with two hits including a double in a losing cause. The Whitecaps thank everyone who helped make the 2018 season - the 25th in West Michigan - such a huge success. Get information on 2019 season tickets by calling the Whitecaps front office at 616-784-4131 or by visiting www.whitecapsbaseball.com.